One of the first people that got proper into crafting in recent years only because the SU! demos were really simple and easy to do with just about anything and I really liked the way she edited and cut her videos too. Really lover her Chic 'n' Scratch branding! 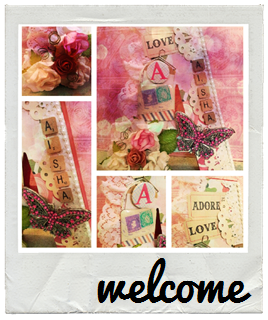 Another crafter who got me into crafting in recent years because she created the most amazing cards with just the simple use of embellishments and stamping. She also got me into embossing / heat tools and die-cutting a lot more in cards too. Plus the way - again with editing and her own brand of designing is awesome too. Like Kairen and probably a lot of UK Crafters, I do watch Create and Craft and some of the crafters on the channel are pretty awesome. One of my fave presenters and she is still a crafter is Dawn Bibby and I saw her do a craft demo in London and got slightly starstruck! She is pretty cool. Other TV crafters I'm fond of include Barbara Gray from Clarity Stamps and Debbi Moore from Debbi Moore Designs. ahh see you named a load more that I could have named too. I did try! 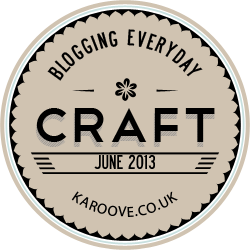 I thought I had more crafters I liked, but some I just browse it seems!